Karver KSF furlers can be used for both bottom-up furling of code zero's and top-down gennakers. They are amongst the lightest furling units on the market with composite bodies, they are compact in design and have captive quick release pins for quick sail changes. 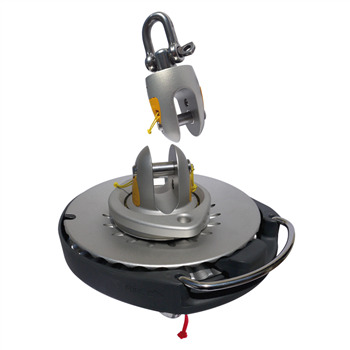 The Karver KF5+ Furling Pack consists of the KF5 furling drum and the KF5 swivel. The drum comes fitted with a snap shackle and the swivel comes equipped with an HR Shackle for connection to the halyard.